Keller brings ancient wisdom to life and shows how to apply it to the realities of our daily lives. New York pastor Timothy Keller is known for his ability to connect a deep understanding of the Bible with contemporary thought and the practical issues we all face. 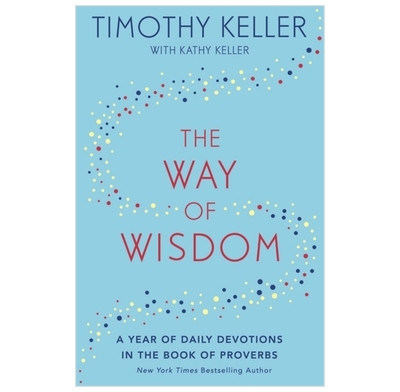 In this devotional - consisting of all-new material - Keller offers inspiration for every day of the year, based on the book of Proverbs. Working through the entire book, Keller brings this ancient wisdom to life and shows how to apply it to the realities of our daily lives. Just as My Rock; My Refuge taught readers how to pray, so this inspiring new devotional teaches us how to live lives that are rooted in wisdom. Purchase 2 as gifts for members of our congregation. I have had feed back from one who cannot praise this book enough. She said it has made her think so deeply about her behaviour and attitude. I think this is a great book. It looks at the topics covered in the Proverbs including speech, marriage, work, friendship. It also dips into other wisdom writings in the bible including Ecclesiastes and wisdom in the new testament. Its easy to read and has prayers at the end of each page to help us respond to God. Its very concrete and practical as well. A good book to read and give away.